On this special “half” episode of The MetalSucks Podcast we share a never-before-heard interview with Huntress frontwoman Jill Janus, who tragically took her own life earlier this week. The interview was conducted by MetalSucks Podcast host Petar Spajic in 2016 at a Huntress headlining show in Las Vegas and has not been published anywhere until now. “When I got the opportunity to interview Jill I was just a guy without an audience who wanted to learn how to talk to bands and spread my love of heavy metal. Jill knew this and understood this interview would not be heard by many, or any, but was all about giving me the opportunity. I learned that if you are a part of this community and love the music people will always give you a chance if you are willing to try, and Jill did that for me. “I have a small list of bands that allowed me to use them as practice for me to try to do this on any scale in the future, and Huntress was the only band I never got to pay it forward to when Vince and Axl allowed asked us to do The MetalSucks Podcast. I looked for press releases every week in hopes of getting a new Huntress album so I could attack the publicist to get them on and help them, because that’s what they did for me. “This interview holds a special place to me because unlike all the other wonderful bands and people who helped me along the way this is the only one I’ve aired posthumously. Thank you, Jill, for allowing me to learn on your time and making me feel like I knew what I was doing when I clearly had no clue. Thank you, Blake, for taking my camera and taking pictures of Jill and I when I was too shy to even consider asking, and I hope this can somehow get your music to more ears. Stream this special episode below. 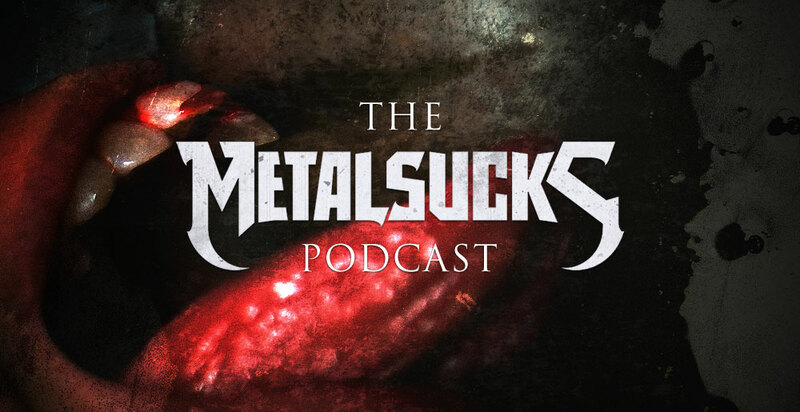 Remember to subscribe to the MetalSucks Podcast on iTunes, subscribe to our direct feed or download this episode directly. The MetalSucks Podcast is a member of the Jabberjaw podcast network.